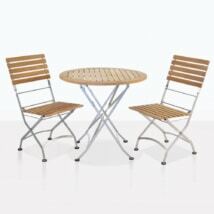 Enjoy your outdoor dining space with this casual yet stylish a-grade teak dining set. 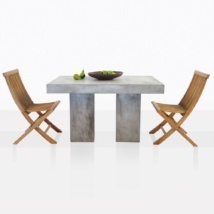 This set features our Cannes Directors dining chair in black and our 35″ square pedestal table. 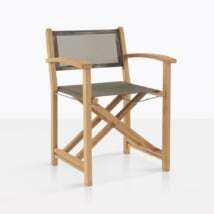 Add 2 more chairs for comfortable seating for 4 or keep simple and extra spacious with 2. 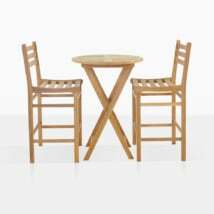 Our Cannes Directors dining chairs are reminiscent of mid-century hollywood and are effortlessly chic and have that desired relaxed vibe. 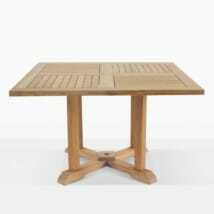 This dining set is constructed with a-grade teak and is extremely durable and ready for outdoor use. 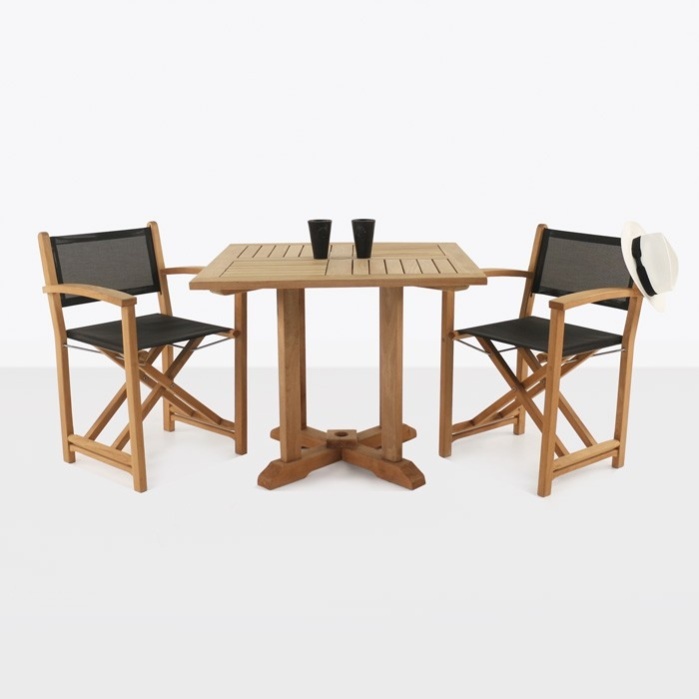 For more questions about this dining set, don’t hesitate to call or email us today at 800.343.7707 or [email protected] We look forward to helping you create a comfortable and functional outdoor dining space.